Over 1.1 billion people have no access to electricity worldwide. Instead, they rely on kerosene lamps, candles, and inefficient cookstoves, which by themselves cause health and environmental problems. In Africa, alone, around 600 million people are left in the dark. Yet, for many people where basic amenities are hard to come by, how can services reach them to provide the electricity they need? 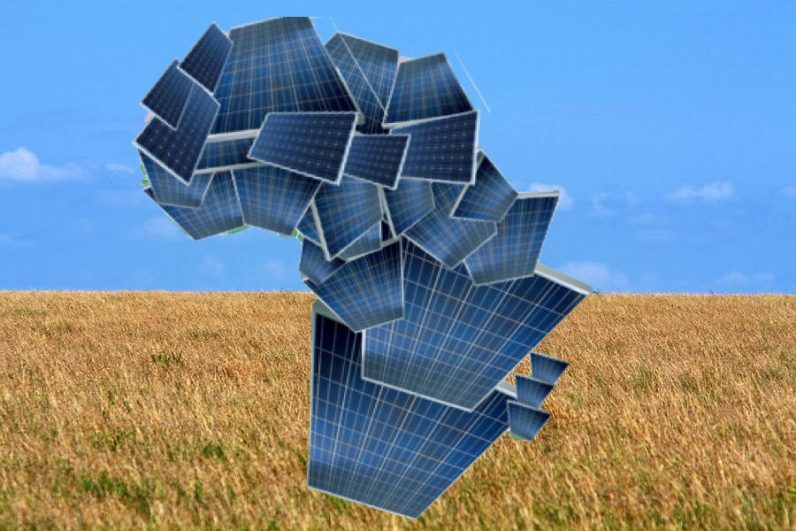 Thankfully, Africa has an abundant resource that can be taken advantage of: sunlight. As a result, companies are stepping up to give millions of people something that so many of us take for granted. Through pay-as-you-go (PAYG) solar solutions, companies are selling solar kits for small installments rather than lump-sum payments. Two companies that are going down this route are Solaris Offgrid and BBOXX. Solaris Offgrid was also one of the finalists in last year’s New Energy Challenge, an initiative by Shell, YES!Delft, and Rockstart, which looks at innovative technologies and solutions within European and Israeli startups for the energy transition. The startup designs and manufacturers PAYG solutions to foster affordable and sustainable energy access in off-grid areas. It achieves this through its own field operations in Africa via its distributions arm, Solaris Tanzania. BBOXX, which Shell invests in, designs, manufactures, distributes, and finances innovative plug and play solar systems to improve access to energy across Africa and the developing world. Both companies took different approaches for their choice of business model: Solaris Offgrid decided on angel investors and venture capital investment while BBOXX followed the crowdfunding path. PAYG allows energy access to be broken down into manageable payment amounts, starting from as low as average spending on kerosene for the lanterns it will replace, says Dave Henry, head of business intelligence at Solaris Offgrid. “Through Solaris Tanzania, we don’t operate a strictly PAYG business model, but rather a lease-to-own, meaning that customers make payments for a defined lease length and then they own the system rather than continuing to make payments in perpetuity,” he added. With more than 100,000 BBOXX products sold in over 35 countries, the company has improved the lives of more than half a million people since starting in March 2010. Choosing a PAYG model, BBOXX is aiming to provide as much flexibility to their customers to make payments. This method is also helping it to reach its goal of providing 20 million people with electricity by 2020. A BBOXX customer — one of which is the Rukoki prison in Uganda — is typically off-grid in a rural location. Most earn their living by farming vanilla or coffee beans on small plots of one to two acres. They earn around $100 to $200 a month, but spend between $8 to $12 on kerosene, batteries, and charging their phones. In the case of Rukoki, prior to BBOXX they were using kerosene lamps to light the prisoners’ wards. With the installation of the solar kit, they could afford electricity for the first time over a three-year payment plan with BBOXX. The company says that their products have helped customers save $2.4 million on energy expenses. Additionally, 63,000 school children are now able to study without straining their eyes or inhaling fumes and soot. According to the Off-Grid Solar Market Trends Report 2016, solar-powered home kits provide a better service at a low cost. Yet, while PAYG solar kits are helping to capture consumer value, around a dozen firms are offering these services in Africa. For Solaris Offgrid, they are maintaining a competitive advantage by delivering hardware that is modular. This means that customers can upgrade their systems as their energy needs grow. Patel adds that BBOXX is able to maintain a competitive advantage by being a data-driven business that collects billions of data points daily. This ranges from customers records, their usage, payment patterns, to the technical performance of the firm’s products. Solaris Offgrid is backed by impact investors, specifically in energy access, says Henry. According to him, this means that they understand the industry and its cycles to ensure that the end goal is maintained. For BBOXX, crowdfunding was the chosen option to raise funds. In Patel’s opinion, it’s a novel approach, but investors are given the visibility of the opportunity they are investing in and the expected social and financial returns. According to their recent campaign through crowdfunding platform Trine, a €1,000 or more investment qualifies for an expected return of 8.75%. Furthermore, this approach allows the company to unlock capital to deploy more services to customers while sticking to a commitment to repay the crowd through customer receipts, he added. Solaris Offgrid is still reaping the benefits of joining The New Energy Challenge, says Henry. The startup received a cash prize for their runner-up position, which has gone directly towards their operating costs to continue growing. Shell, YES!Delft, and Rockstart believe it’s only through innovation and technologies that are effective, profitable, and scalable where energy transition solutions can be found. Did we mention there’s also the chance of winning a €100,000 grant? So if you’re a startup with an idea that can help shape the energy system of the future, do sign up before July 23 to be part of the next New Energy Challenge. You’ll receive expert advice and coaching, direct entry to world-class accelerator programs, business advice from Shell Ventures for at least a year, and the opportunity to pitch before the Shell Ventures investment committee. This article is brought to you by the New Energy Challenge.